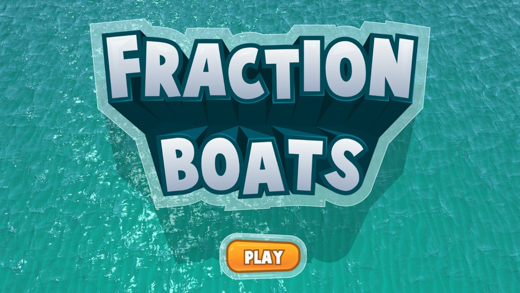 Set sail on a mathematical voyage with Fraction Boats! 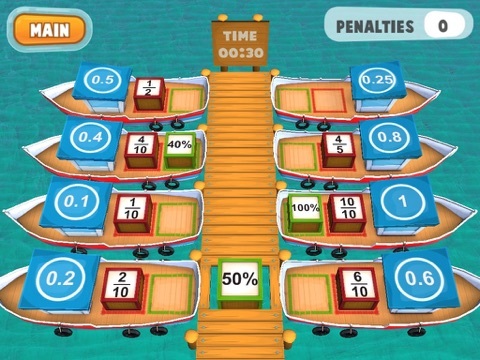 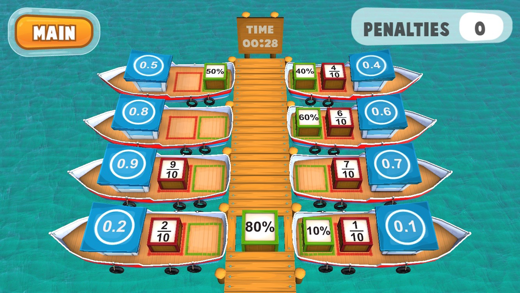 Select whether fraction, decimal or percentage boxes are loaded on the boats at the start of the game. 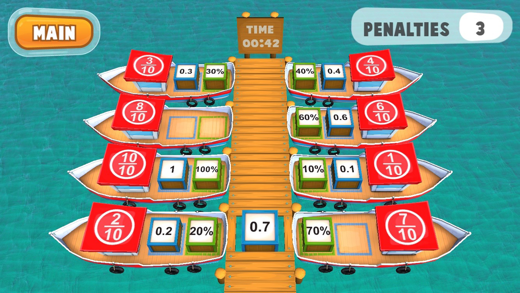 Your task is to drag the boxes as they appear to their correct equivalent place. 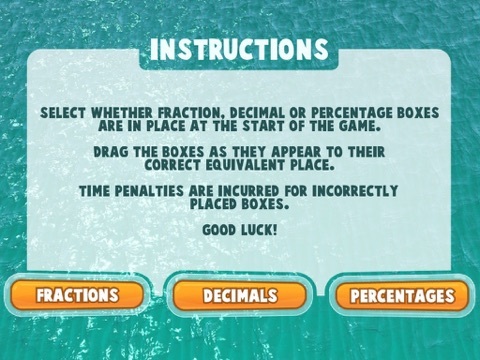 - Level best scores saved to the device. 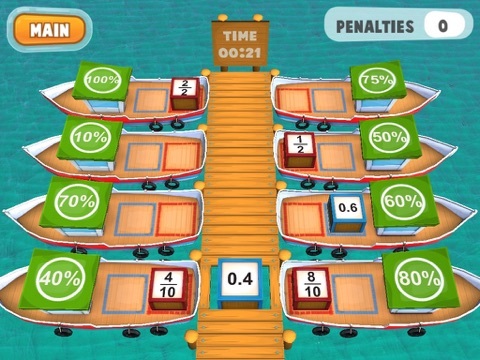 - 7 levels of differentiation. 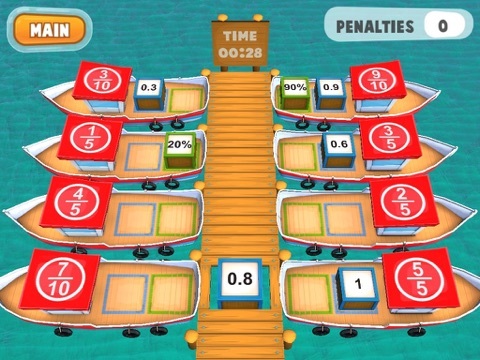 - Select whether Fractions, Decimals or Percentages are on the boats at the start. 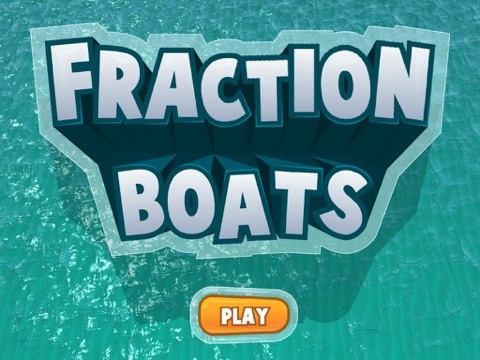 - Clear and engaging graphics.